Stub my toe, burn our dinner, bad hair day? menopause, menopause, menopause! Except in my case, since I was in my 40s, people were more forgiving and added a “peri-” in front of it, I suppose to soften the inevitable. Menopause happened to old ladies with one foot precariously dangling over the grave, right? Wrong. I was 49 when I received a call from my doctor’s office informing me I wasn’t pre-menopausal at all but, in fact, post-menopausal. Each month my body suggested a different story but hormones have a mind of their own and I’ve learned they do what they want to do, not what you think they’re supposed to do. They win, they always win. I wasn’t prepared for how I’d f e e l when I hit menopause, that there was anything TO feel beyond the relief to my pocketbook from not having to buy tampons anymore and the inconvenience of it all. There’s much ado when a girl becomes a woman. We say that, don’t we? When a girl starts her period, she suddenly Becomes A Woman. So, using that logic, when a woman stops her period, she becomes a, what..? Man? Reverts back to a girl? Old lady? That call was a sucker punch. A solemness I didn’t recognize descended over me. I was suddenly different. Not a blasted thing had changed, but in the wake of the official news – of me simply learning what had been the case for I don’t know how long – everything had changed. I never saw any of it coming…a profound sense of loss, bone-deep sadness, inner conflict. Tears were wrung from a tender place I previously hadn’t known existed. I was mourning a passing. Maybe it’s because I fancy myself a rebel. When someone or some thing tries to box me in, I go all Patrick Swayze in Dirty Dancing, “Nobody puts Baby in a corner” (at least in my head I do). I’ll be damned if I’m going to let you be the boss of me which is how I remember my mama. She was a scrappy country girl born poor who escaped to the city for a bigger life. A better one in some ways, but not all. She liked costume jewelry and pretty clothes and when she was diagnosed with breast cancer at 33, she gave it a defiant finger and lived five years longer than they told her she would. She died at 38 and one of the things that makes me the maddest is she didn’t live long enough for her to teach me more about life, what to expect in season. it no longer being my choice, an option, even a possibility?? Puts Baby in the corner. The determinant that made me most thankful I was a woman, the miracle no man has ever known, the thrill I’ve known three times over–never to be again. I don’t tell you these things to feel sorry for me or sad for me or anything for me–I don’t! I tell you because to be armed with knowledge diffuses the strength of the unknown. I tell you so one day you can anticipate potential feelings that arrived unexpected and unannounced to me. 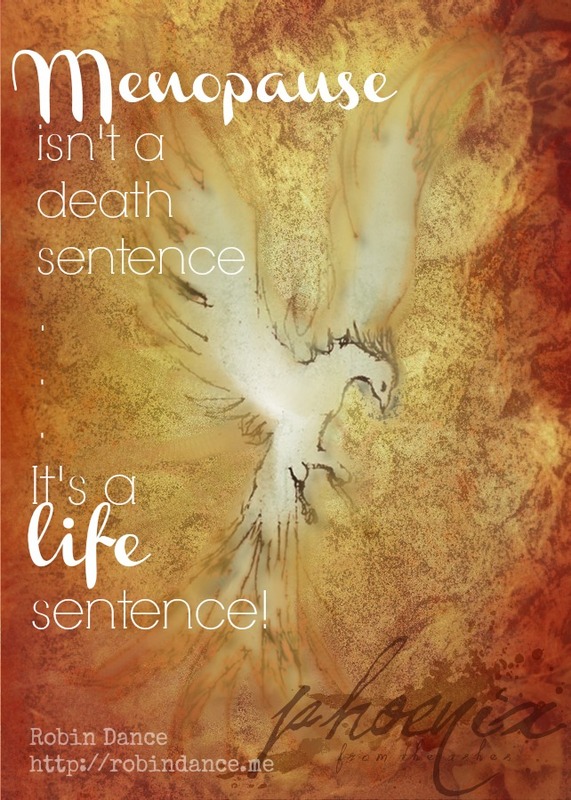 Menopause is not a death sentence; it’s a life sentence! It’s a genesis for something new. If you or I have the privilege of walking this season – and make no mistake, lovies, it is a privilege because days have been granted to us many will never see – it means we’ve lived long enough to experience it. Cause enough for celebration. We fear the unknown, don’t we? And isn’t that why we approach menopause with some measure of dread? The last time our bodies were ransacked by hormones, our mamas and sisters and friends were holding our hands and walking with us and they made sure we understood what was going on and what to expect. It was a big deal made smaller because of the natural community that surrounded us. Which I’m realizing as I write this is beautiful remedy for the Second Change. I missed this–the need for intergenerational community. I have so many amazing younger women in my life, but few who are just ahead of me, who can hold my hand and make sure I understand what is going on with my body and what to expect, those who can make this big deal a small one. This is me holding your hand. This is my beginning to a New Thing, to recognizing great value where I am, when I am. If you haven’t already, seek out women just a few steps ahead of you in life and begin a friendship of mutual love and service to one another. Be intentional, be bold, be brave. Give from your void, give from your plenty. Don’t fear your future, anticipate its goodness and be thankful for all things. Because, despite pain and hardship and void and loss, life is good. Because if you’re lucky enough, one day it will. Beautiful phoenix image in above quote is used with permission from mirselber at deviantart.com. Oh, Robin. So beautiful and thoughtful, as usual. I can imagine that it’s sorta the same feeling as a young woman who has a hysterectomy. When one of my best friend’s mother was dying from ovarian cancer, she had a hysterectomy, too. (I imagine she was already through menopause, being in her 60s, though.) And my friend said something to me about her mom feeling so weird, just losing the parts that made her female. It’s a complex and beautiful issue and I am glad you attacked it. I hope I will make it there if that is what God wants. And learn from those who’ve arrived. I thought about women who’ve been thrust into early menopause for the reason you mentioned; my sister had surgery, too, and has endured all kinds of ick stuff as a result, earlier than she should have. She’s the best one I’m able to talk to, though her circumstances were different. I realize I NEED to talk about it to process it, though; and younger women who aren’t here, passed here or near hear don’t want/need to hear it :). But I DO hope anything I write is encouragement to them/others…. Like I said, no need to DWELL, but it’s helpful to understand what might come w/this season (the emotional conflict). I think I had my first “hot flash” the other day. I woke up sweating and was absurdly warm for 1/2 the morning when I’m usually cold….so, I know I’m starting….But, I haven’t really “thought” about it. I try not to. Some of my closer relatives have struggled through it and others didn’t have a problem. I guess I’ll just take it as it comes. I’m hoping to have a good attitude though. I’ll try and ruminate on what you’ve said today. I’m by no means old, but girl, my baby is fixin’ to be 4 and this church we’re planting is full of babies and newlyweds and my daddy left my mama a widow at the ripe old age of 41. And I’m scared to death of getting old and I’m scared to death of not getting old. Your words met me today and for that I’m grateful. I think it’s your sweet spot. Your words? A sweet spot. I hear you and I know that familiar haunt. You will be ever-aware of your age when you hit 41 and breath a sigh of relief and victory when you turn 42. It’s just the way it is, this thing always on your periphery. But I hope, for you it’s like it was for me. A knowing which leads to taking care of yourself in a way that history doesn’t repeat. Some moms found talking about women’s issue embarrassing to talk about. For the life of me I don’t know why. It is time for those of us who have been through the change to rejoice in our bodies. There are things that are so fantastic about menopause, and there are somethings that I would love to have back from my pre-menopause days…like my metabolism. In case you don’t know, the metabolism and memory are best friends. When one goes on vacation the other follows, leaving us to fend for ourselves. Just thought you should know! Maybe it’s testosterone levels taking the place of estrogen, or maybe it’s just that I am more experienced about life, but I am giving my opinion less filtered nowadays. I recognize the truth of mortality and I won’t be here forever. So I am going to do what I want to do, say what I think, and love as much as possible. So just put that in your pipe and smoke it! Perhaps this is why instinctively I’m drawn to you–like beckons to like? I HEAR what you are saying…and what you aren’t. I can read between these lines. You ask some very good questions, some of which are might inspire future posts. And I love the roooar I hear in your voice. We need that. Girl. We have some “stuff” in common. The Mama thing. The “wish there had been someone to tell me about_________________” thing. So I, at a pre-menopausal stage myself, needed this. Get this. Want to do this well. Thanks. I turned 37 last month and kinda had a panic attack… in some ways I think I’m barely 30 and life is flying by so 40 will be here before I know it! Thanks for giving me the courage to face it with enthusiasm! I agree with your dad ;). Your comment reminded me of the question “How old do you feel?” because I FEEL more like 30 than… 50. Whatever that means. I understand that sense of panic, of truly feeling the speed of life, which is good motive for paying attention in the daily grind. I think that sense of panic is a gift, prompting you to APPRECIATE where you are today, or maybe where you need to go tomorrow. Oh Robin, I absolutely love your transparency! Thank you so much for sharing this journey, this gift! As a 46 year old woman who has not yet reached that milestone, I have to admit that I’ve only thought of it as something I hoped to avoid for as long as possible! I guess I’ve been fearful about the changes and what it would mean to me as a woman. I LOVE this “There’s much ado when a girl becomes a woman. We say that, don’t we? When a girl starts her period, she suddenly Becomes A Woman. So, using that logic, when a woman stops her period, she becomes a, what..? That’s been my fear…but you’re so right, so many fight so hard to reach that age, that point in their lives that signify another change but instead fall short and miss it. We *must* find a way for that to happen :). And I’m beginning to get a new sense of direction simply reading comments here. Thanks for sharing your thoughts. I just weaned my girls this week and after 4 babies I’m done. I tried to stay awake while they were nursing the last time, but it had gotten to be painful and I was honestly just so DONE that I couldn’t concentrate. It feels a little weird not to snuggle them like that (they’re never still otherwise). 🙂 I “knew” when I was done… Which is why I was surprised to feel the way I did when I couldn’t! I always enjoy reading what you write, but was particularly interested in today’s words. I am well outside of your target audience having turned 71 on Christmas day. Nonetheless, today’s comments struck a chord. You’ll be startled to know how fast you will transition from your age to mine, but it will be in a flash. What I wanted to mention was a ceremony I was invited to for one of my friends called a croning ceremony. We celebrated her wisdom, her friendship, her life. It comes from a pagan background and it was a little out of the normal for me, but it was a neat celebration. BELATED birthday greetings! I’m so glad you’re a reader. And I have to tell you this: I twitched more than a little when I saw your link to a pagan/wiccan site. BUT…I’m GLAD I clicked over! A Croning ceremony is a lovely thing…and I’m seriously considering how I can re-create it in my own way. Thank you for sharing! At almost 48, I think I’m just hitting the flashes in the last couple of months, and I’m usually cold-natured. I’d love to think there’s a good excuse for why my hair is suddenly so thin—not that it’s ever been thick. I hope that part doesn’t last! I’ve got a house full of kids and a lot of living to do, and like you, I lost my mother too soon. Second mention of Menopause the Musical and I’m wildly curious now :). There are just so many ways they could do that, but I haven’t a clue for sure. That’s the thing about what comes before the actual “event”; you aren’t quite sure if all the signs are really signs :). Also, menopause doesn’t happen overnight (I don’t think); it’s gradual. Over time. Sometimes a looong time. So, a little confusing and indefinite. Oh my word, Bonnie Jean; I had no idea about your trauma. I’m so thankful years separate you between then and now. You seem to have recovered with a very positive attitude, rather than being chained to bitterness and anger. And, THANK YOU for your support of Compassion. It is such a worthy organization benefiting children who NEED help. Your loss is redeemed in life for your little sponsored child :). Oh, Robin. I know EVERYTHING you’re talking about here. I was so stunned by the emotional waves of loss because NO one prepared me for it. My mom had a hysterectomy before menopause and there was no one to tell me that I would grieve the very thing I had already made sure could never happen again. It was strange and hard and lasted way too long. By the grace of God, I made it through and so did my marriage – we need to talk about this stuff. We really, really do. I imagine there are a few women who sail through it, but it’s a major life change and needs to be noted. Thank you for every bit of this, my friend. You affirm me simply by saying “me, too”; thank you for that. For those of us not already typically emotional, that part is a like our bodies being invaded by aliens. Suddenly, I didn’t feel like myself. At least I had the intellect still intact to let me know that wasn’t rational thinking (my feelings of despair or rage or ???). I’m glad you’re in my sphere; I think you hear me well, and I love to listen to YOU! Thank you for tackling this subject. Menopause is not the end of life. It is the beginning of another beautiful season of life! My mom never talked to me about women’s health issues. Things just happened and then a simple explanation. Fortunately for me I know many women going through menopause right now–just step inside my church any Sunday and you might see a flurry of hand fans going. I will say once the dust settled and I found my footing in this new land…I liked what I saw… I rounded the a corner…and when I reached 55…in the faint distance I could see the finish line…and something rose in my…maybe it was my version of …no one puts baby in the corner…and I knew…by God’s grace…I was going to finish stronger than when I started…I would taste freedom I could not have found in my 30s or 40s…and with joy in my heart…I face the winds of change. Sorry for the length of this…just one other aspect… I was not prepared for…was the cataclysmic changes that takes place in the family at the same time we are going through our own cataclysmic changes…college…marriage…kids moving away…grandbabies…all things to rejoice…but I did not realize i would grieve too…I could go on…but this needs to be talked about more too…we talk to young moms about newborns…toddlers..etc…but this phase there is not much discussion about. YES!! A resounding YES! ALL of The Things happening at once! That compounds the one thing and I didn’t even note that! Thank you for reminding me and encouraging me to pursue that topic! Bravo. Been there, DOING that! Hot flashes just started for me a few months ago, but I’m already ready to be done with them! I’m 55 (for a few more weeks), and just found out that my 45 year old sister is finished with menopause. Personally, I’d rather go through this later, rather than sooner. Having had endrometrial ablation about 6 years ago, I’ve had no visits from Aunt Flo – SUCH a blessing! But you’re right – this is it. The end. No more babies? EVER? Not so. First comes love, then comes marriage. Then comes Grandmom with a baby carriage! And these we can hand back to their “owners.” So, life does go on – what a long, strange trip it’s been, and it’s not over yet. Rock on, Robin! I’m 37. I experienced that same feeling of loss two years ago when I had a partial hysterectomy. I’ve since come to terms and celebrate this new chapter in my life, but I experienced sadness for a good while after my surgery. I cannot agree more about surrounding yourself with women who are a “few steps ahead of you”. Their wisdom is invaluable. Thank you for speaking out on menopause and peri-menopause. Four years ago, at age 38, I had a partial hysterectomy. I was told I would feel so much better. But the past four years have been waves of emotional and physical issues. The doctors say it isn’t hormonal, but other women who had the same surgery related similar stories. It does help so much to talk about it and know we’re not alone. Through it all, though, what has surprised me the most is how my dependence on God has grown in ways I didn’t even know I needed to! Your last sentence? Well, THAT is unexpected blessing. Having gone through menopause at 38 years old was a trial for me. I am a pastor’s wife, and missed church one morning because I was having migraine headaches. One of the “seasoned” (OK, she was 87) women in the church suggested I may be entering menopause and I was highly offended! After all, I was young, energetic, a role model for the youth, and the perfect pastor’s wife! Well, I was young, anyway. But after my Dr. confirmed her suggestion, I was blessed to learn that my Dr. was doing a study on early menopause, and she scheduled an hour for any visit I needed, simply to ask questions and learn from me. She helped me mourn the loss of choice to bear more children, to embrace menopause, and to see this as MY time – not for the hubby, not for the kids, and certainly not for the congregation, but simply for ME, to renew personal goals that had been shoved in the closet of my life of “service to others,” and to plan and create the ME that God wanted me to be. What a precious Dr. she was! I took her advice, embraced the No Periods me, the Give-me-some-space-I’m-having-a-hotflash me, and I focused on simplifying my life, setting new goals (finish college degree, pursue dreams, and learning to fly – pilots license anyone?). While I hated the moodiness, homeopathic remedies helped, but exercise was key to helping with that. Thanks, Robin, for helping me to remember today how much early menopause has been a blessing to my life – and thank you, Dr. Carr, wherever you are! I would LOVE a doctor like that! I really do like my gyn but he’s a man; and the older I get, the more I wish I had chosen a woman. With a strong history of cancer in my life, changing physicians is not a cavalier decision for me. Your testimony is an inspiration! What a WONDERFUL perspective to carry as you endured the aggregation and newfound knowledge. I love it :). 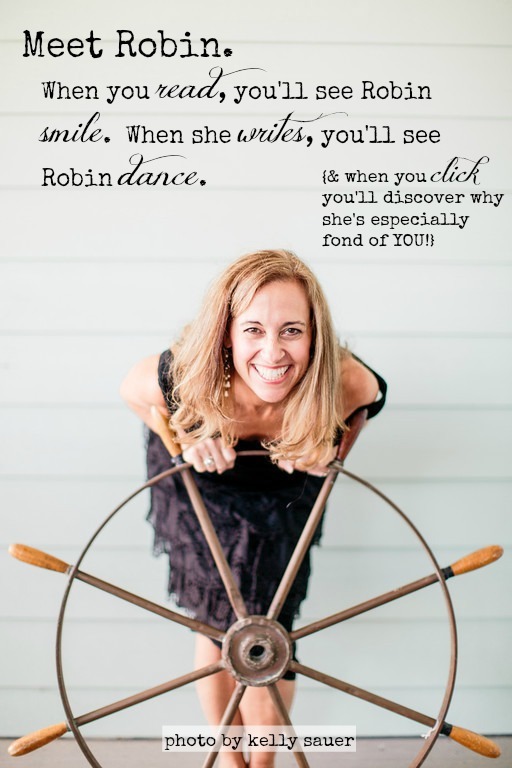 Thank you, Robin, for directing us to this post on your last (in)courage submission. I would have missed it! And I’m so grateful I got to read it. As a 45 year old woman – who still feels 35, minus the hot flashes and night sweats – who has been told over and over by docs that I must be mistaken, “you’re too young to be in menopause” (even the peri variety), I appreciated the validation at knowing my body best. But most importantly, I appreciated the heads up that I may not just feel thankful when I am finally over this stage, that there may be loss and mourning and melancholy at the next season finally coming to pass. 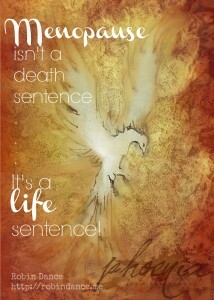 “Not a death sentence but a life sentence” is a phrase I embrace and hope to remember in years to come. Thank you for this very important post. I’m so glad you found it! Thank you for popping over. I’m surprised your doctors suggested otherwise; I mean, 45 is young for menopause, but if you were experiencing symptoms, I’m surprised. You make an IMPORTANT point, one I want to scream for all to hear: WE KNOW OUR BODIES BEST! Listen to them! We really do know more than anyone on the outside looking in…. But you know what? I think sometimes we want to hear what they’re saying…. I’ve hit peri-menopause and it shows. Not too keen on the idea of it getting worse than it is, but it’s not the aging that gets me. Just the hormones and the stuff that goes along with them. The good part is hormonal swings settle down; aging, settles up ;). I wish that we could soften the dread. I got caught up in watching a thread that had a woman decrying the idea that at 39 there is chin hair. She seemed to suggest that there was something wrong with the woman saying that it was so. The transitions are, as that 78 year old friend suggested, a gift. Posts like this really do help us understand that, but more so, the treasure that being open and caring friends can be. Thank you. Off to share. First, thank you for sharing! I’m grateful. Also….I guess women fear ANY loss of perceived youth/beauty? I mean, chin hairs are never pretty, NO MATTER WHAT THE DUCK DYNASTY BOYS suggest. Okay, they’re guys, so that’s not totally relevant. My point is *sometimes* we’d rather stick our fingers in our collective ears and sing “lalala I can’t hear you” because we’d rather not “dwell” on what we don’t want to go through. 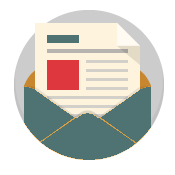 To me, though, knowing about it prepares us to handle it, and relegates it to a lesser deal status…. I’ll take these gifts…….wayward eyebrows and all. This is such a beautiful and truthful post. Cause it’s true not everyone makes it to that level. You have encouraged me to seek people out who will understand when I reach that stage and I agree that menopause definitely doesn’t mean life is over. It means it is time for a new stage and a chance for a new door to open. You make me GLAD I wrote this. Thank you! Robin, I will always think of you as the older sister I never had but always wanted. Thank you for holding my hand so tenderly. MUAH. My best friend died at 24, she should have been my maid of honour. Every milestone, every grace afforded, just… *sigh* She would have wanted to be around for menopause. Wonderful description of the multitude of body and mind emotions. Although I was thrust into it at 50, I had the peri b4 the post. I will add women should be skeptic about HRTs. After my age 50 hysterectomy, I took low dose Premarin. 2 mos ago found out my lack of energy and short breath was a life threatening DVT. 3 yrs I was on the HRT, so I welcome back the hot flashes to get my lungs clear 🙂 blessing to you! Great read! Robin, I have often said they need classes like they do in elementary/middle school. Maybe doctors have these and I’ve just missed them? I am SO clueless about what’s going to happen except for hot flashes and PMSy symptoms. Your wisdom and experience is MUCH needed.